RITEK has also dedicated itself to the research and development of nanotechnology. Over the years RITEK has developed advanced manufacturing technology for high-precision biological detection discs. 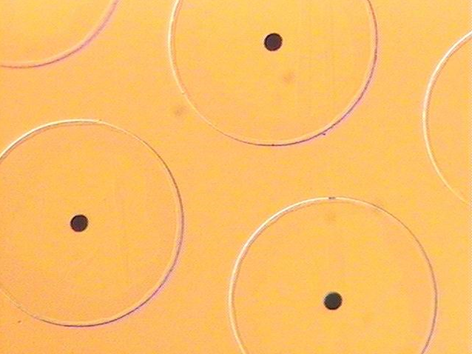 Biological detection discs utilize RITEK’s precision technology to open many new and exciting opportunities for disease detection or experimental analysis. 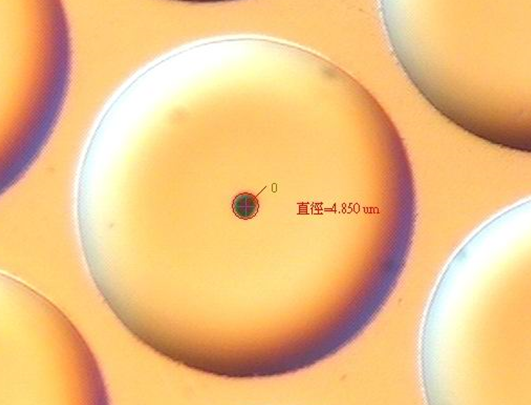 Using special microfluidic channels and centrifugal force, we can use the discs like test strips. Simply dropping a sample of blood on the disc and inserting the disc into a drive, we can then analyze blood instantly greatly decreasing testing times. ● RITEK is a globally leading media storage corporation, which is famous for manufacturing CD, DVD, and Blue Disc. RITEK uses LIGA-like technology, which is a part of stamper technology for CD, to develop a micro-precision tool----electroforming stencils. RITEK has been studying and manufacturing electroforming stencils since 2008. RITEK now dominates electroforming stencils in IC packages. Moreover, RITEK also manufactures etching stencils to fit the product diversity of the market. An etching stencil is widely used and bought by international and top-ranking IC package companies. ● Electroforming or etching stencils is mainly applied to ball drop and solder paste printing in IC packages, IC substrate and other IC-related industries. RITEK electroforming and etching stencils have their features respectively, so the customers have various choices and will be satisfied. RITEK has been offering excellent and good-quality products and considerate service in order to give customers an amazing experience. RITEK electroforming stencils with good-shaped openings, smooth side walls, and high-precise alignment make solder paste on substrate result in great height and uniformed width. The solder paste is also be accurately dropped on welded pad by using RITEK stencils. If you have some issues, like solder icicles, stripping issues, great height gap in solder ball after high-temperature reflow, RITEK stencils resolve those issues and increase the product yield rate for your customers. RITEK electroforming stencils with good-shaped openings, smooth side walls, and high-precise alignment make flux smoothly and continuously drop, and balls accurately drop on exact UBM. Moreover, RITEK stencils help you solve missing balls, extra balls, or bridge to boost product yield rate for your customers and reduce total cost afterwards. RITEK etching stencils are made by two-side etching, which reduces a risk of ball shift or missing ball situations. RITEK etching stencils features great opening uniformity and fabulous flatness. In comparison to electroforming stencil, an etching stencil is cost-competitive and has a short lead time. I. RITEK nozzle plates are high-precise products that are developed by stamper technology in CD manufacturing process. RITEK offers pure-Ni, Ni/Co alloy, and Pd/Ni alloy nozzle plates. A pure-Ni nozzle plate and Ni/Co alloy nozzle plate are greatly applied to inkjet cartridge, the beauty industry, and essential oil industry. A Pd/Ni nozzle plate alloy is used in medical nebulizer for respiratory treatment. Pd/Ni nozzle plate is commonly used in mesh-type medical nebulizer, which is a treatment of Cystic fibrosis, asthma and COPD (Chronic Obstructive Pulmonary Disease).